By expanding its thematic range, photokina hopes to represent imaging's unlimited possibilities and embrace all target groups. 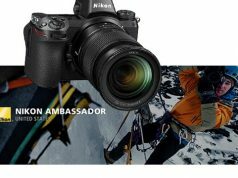 Eight months prior to photokina 2016, which will be held September 20–25 in Cologne, Germany, organizers of the biannual show for the photo-imaging and video industries presented a new concept and a new campaign. They are now readied to deliver on the theme, “Imaging Unlimited,” with a content- and solution-oriented event. By expanding its thematic range, photokina’s organizers hope to encourage the youngest target group to embrace photography beyond a smartphone. “photokina stands for the unlimited possibilities of imaging. Thanks to smartphones and tablets, new target groups of image enthusiasts are arising which we want to reach with the concept,” explained Katharina C. Hamma, COO of Koelnmesse GmbH, the show’s co-organizer, along with the Photoindustrie-Verband e.V. Furthermore, when photokina 2016 opens its doors next month to a projected 185,000 visitors, the new theme will be embodied through show events, programming and the presentation of an expanded range of technologies. At least 1,000 international companies, specialty suppliers and creative start-ups from 40 countries will present dealers and professionals with the latest solutions and technological developments. Moving the show’s boundaries, it will go beyond the presentation of conventional imaging technologies and solutions. Alongside the latest in cameras and photographic accessories, themes like “Smart Home” functions for cameras, cloud storage, apps, wearables, audio and video, as wellas augmented and virtual reality will be presented. 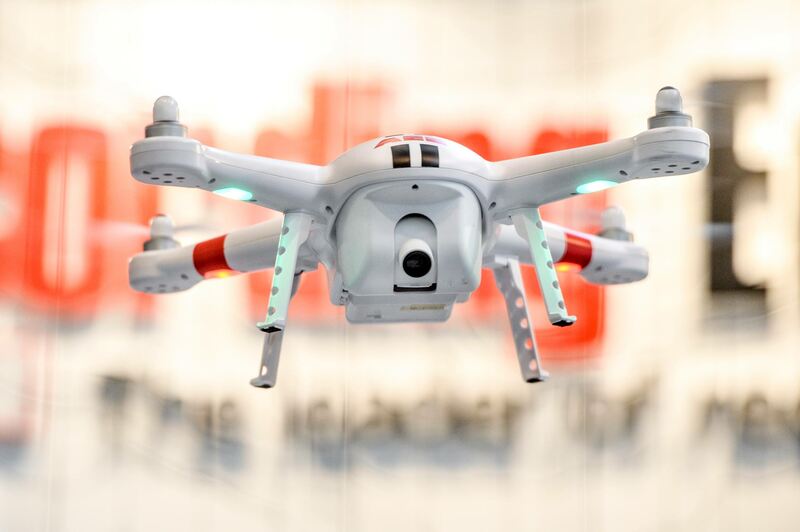 In addition, some of the companies exhibiting this year are 360fly, AEE Technology, Atomos, Arri, Blackmagic, BlackRapid, Canon, Carl Zeiss, CeWe, DayMen, DJI, DNP, Epson, Fujifilm, GoPro, Hahnel, Hahnemühle, Hasselblad, Hoodman, HP, Ilford, JOBO, Kodak, Leica, Lensbaby, Manfrotto, Mitsubishi, Nikon, Noritsu, Olympus, Panasonic, Phase One, Phottix, Polaroid, Profoto, Ricoh Imaging, Ringfoto, Rollei, SanDisk, Sigma, Sirui, Sony, Tamron and Unibind. And of course, photokina 2016 will have demonstrations of state-of-the-art photo and video techniques, while offering attendees opportunities to try these out through a series of new events. 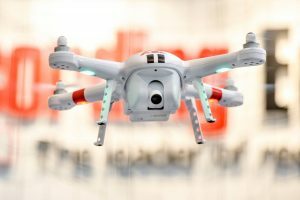 The theme worlds at photokina will focus on photo copters (drones), action cameras, video creation and processing, cloud services, virtual and augmented reality, cameras in the Smart Home, as well as the latest photographic equipment and accessories. At Copter World, visitors can try their hand at piloting a drone. The show will present everything needed for the recording, processing, saving and transferring of photos or videos, as well as output. Here is what you can expect to see at each of the “imaging unlimited” theme worlds. Cologne Unlimited. The city of Cologne is inviting people to participate in events and seminars even before the show starts. 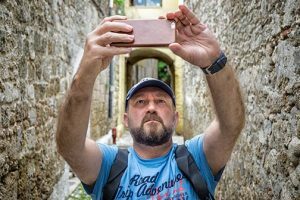 In a series of photo and video workshops, professionals and amateurs, adults and children, can look at and capture the city from differing perspectives. In addition, attendees will learn tips and tricks on making photographs and videos correctly. Everywhere throughout Cologne, photographers from around the world will exhibit their photos. Large-format projections on the Rhine are set to amaze spectators. And while visitors have a souvenir snapshot taken in one of the photokina photo booths, they can pick up a voucher code for a day ticket to photokina. In addition, music fans can help their favorite band win the chance to perform onstage in Hall 5.2 during the Motion Picture Awards ceremony on September 24. Capturing Unlimited: Cameras, Lenses & Equipment. Core imaging products from capture to storage will be featured. These will include: cameras; lenses, filters and camera accessories; photographic studio equipment; building elements and semifinished products; and a host of additional product ranges. Lighting Unlimited: Lighting, Flashes & Tripods. Here you will find all things lighting, from in-studio and on-location equipment to new technologies. Creating Unlimited: Input, Edit & Process. This world will encompass exhibits and demonstrations of video and film technology, digital image processing, video and film accessories and post-processing solutions. Sharing Unlimited: Store, Connect & Transfer. All equipment and services related to image storage, image transfer and data storage can be found at this thematic world. Presenting Unlimited: Finish, Print & Present. This area focuses on printing, hardware and materials. It will include publishing systems from layout and graphics to multimedia, prepress and production. Also showcased will be image presentation solutions and personalized photo products. Photofinishing equipment, systems, consumable materials and order processing will be demonstrated, as will recycling and disposal for photofinishing. Other areas covered here include: equipment and systems for technical scientific imaging; projection and presentation equipment; and home electronics. Among this year’s highlights, photokina will offer Action by photokina photo op events, the Zoom by photokina area to bring things up close and personal, Futurezone featuring start-ups and app developers, and the Light Art, Mobile and Motion by photokina areas. Obstacle Challenge. More adventurous attendees can apply for the Indoor Obstacle Challenge in Hall 6. From September 23–25, active life-stylers can take on the first indoor obstacle race in Germany. They will be equipped with high-tech cameras, of course, to record the event. With their entry fee, the first 500 applicants will receive a day ticket for photokina. Action Hall. Action cams continue to proliferate, whether for use on ski slopes, on trails, on the water or around the house. In the Action Hall, photokina visitors can grab one of the newest cameras and charge into one of any number of adventures. This includes climbing aboard the photokina Avenger, where visitors can film their loops nearly 80 feet above the fairgrounds. Copter World. In Hall 6, Copter World will also invite guests to participate. Visitors can try their hand flying drones on a specially designed course. 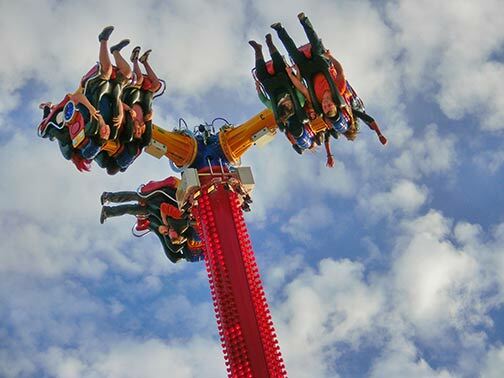 And professionals will demonstrate photographing agile flying objects and explain techniques and new features for capturing images from a bird’s-eye view. Zoom by photokina. The latest camera models, telephoto lenses, binoculars and astrophotography cameras can be tested in the Zoom area. On the Piazza, tight-walking acrobats, artists and spontaneous walking acts will offer photo and video ops from unusual angles. Attendees can rent equipment at the new Rental Station on the North Boulevard. Light Art by photokina. Light painting and light art photography are among the new photo trends. At photokina, expert photographers and photo artists will demonstrate how to simply produce fantastic photos with a camera’s time exposure, the right light and the right movements. Motion by photokina. Visitors can experience the newest video-capable cameras and techniques, presented by major manufacturers. They will also receive tips for filming and editing in live sessions and workshops from the pros. Pavel Kaplun will show attendees how to capture unique moments even with a smartphone. Mobile by photokina. Attendees will learn how to shoot, process and also share smartphone photos. They can discover the most recent apps, optimize their techniques and learn everything about the right processing—to make the best images with a smartphone. Furthermore, mobile photography stars will offer tips and discuss the best apps. Futurezone by photokina. Here attendees will see start-ups present emerging technologies as well as imaging apps to make better photos and video. App developers will be on hand, and visitors can try out the newest programs. Digility. 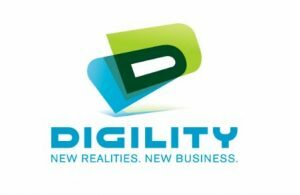 photokina is partnering with a new business conference on digital reality, Digility, on September 22–23. Meet with the leading people as well as companies who are working on the fusion of a digital world with the real world. Attendees can experience the complete ecosystem of virtual and augmented reality, connecting with manufacturers, developers, researchers, investors, service providers and also opinion leaders. VLOG CON. In Hall 5, the theme at VLOG CON for video bloggers is moving images. In live tutorials, experienced and successful YouTubers will give insight into the special features of the online film. Furthermore, this will include an overview from the planning stage to production and editing, through to the distribution of content for video platforms and one’s own blog. In addition, Koelnmesse will offer visitors a new format in Hall 4.1, with live lectures involving business themes for professional imagers. Expanding 2014’s format, ambitious photo enthusiasts now will have the chance to have their portfolios critiqued in the Professionals Lounge. In addition to this, the lounge offers opportunities for networking as well as learning about successful business models. Every day at 10:30 a.m., international speakers will present important trends on marketing, self-marketing, image culture, rights to images, as well as social media and new business models for pros. For example, on September 21 and 23, Michael Omori Kirchner, business coach for creatives, will explain how to build a sustainable existence as a freelance photographer. Silke Güldner, mentor for photographers, will discuss dealing with usage rights on September 22. In addition, Dr. Jürgen Rink, editor in chief of c´t Fotografie magazine, will reveal how to attract attention to one’s images. Also, on September 24, Kristina Kobilke will demonstrate how success can be achieved on Instagram. Kobilke is author of the mitp publishing house. The Professional Stage will also present short lectures everyday on the subject of photography law. Renowned media attorneys Tim Hoesmann (CentralVerband), Daniel Kötz, Sebastian Deubelli and David Seiler will discuss image theft, law for photographers as well as image rights and social media. Following its successful premiere in 2014, the Sales Gallery will again be set up. Visitors can purchase high-quality photographic art from gallery owners as well as freelance photographers on the North Boulevard.